For whom are hair transplantations? Hair transplantation can be done to anyone who has seen hair loss. 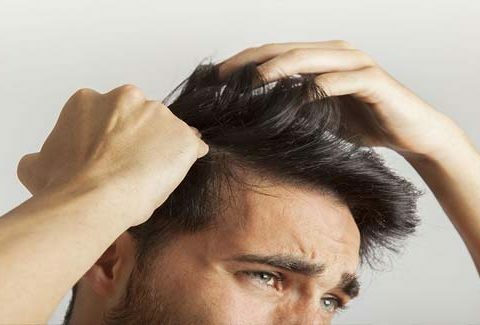 Although hair loss seems to have different causes in women and men, the main reason for hair loss is seen in people with genetic disorders, and it is seen in men frequently and caused by theire hormones . The cells that produce the hair die in time. Thus, the hair is first weakened, then it does not grow, and is poured in the final stage. hair transplantation is the most definitive and permanent treatment for hair loss to people who experience this problem. How long does hair transplantation last? Following the examination, your graft technique is determined according to your hair transplantation technique and the size of the dilution. The planning of the hair transplant surgery varies according to the individual. The level of the baldness is determined by the number of grafts to be taken and transplanted. Hair density in people who are suitable for a single session of 4 thousand hair follicles by taking the average, can be transplanted in the bald area. Operation takes 4 to 6 hours. How should a good hair transplantation center be? he results of the hair transplantation process vary according to the medical center and plastic surgeon. The center where you will have hair transplantation must have technological devices to be used in the analyzes made before and during the operation. At the same time, the operation room room should be sterile. Special gadgets should be used for the collection of grafts collected for the region to be transplanted. FUE, GOLD FUE, DHI, are the used techniques for unshaved hair transplantation. In addition, by applying PRP, mesotherapy or stem cell therapy after hair transplantaion, healthy and fast extension of hair follicles should be supported. To understand your suitability for hair transplantation, you must pass a doctor’s assessment. Your doctor will then direct you to a hair transplant attempt or other treatment options. What is Hair Transplantation by PRP Method? PRP, which is the abbreviation of Platelet Rich Plasma, means a kind of biological medicine derived from the patient’s own blood. In the treatment of PRP; Platelet-rich plasma fluid is mixed with platelet-derived autologous proteins and applied to the area where the hair is rare. In this way, the hair follicles are repaired. In the last 25 years there have been significant developments in the field of hair transplantation, the most important of which is the FUE hair transplantation, which makes hair transplantation more widespread all over the world and causes hair transplantation to become more preferable. FUE (Folliculair Unıt Extraction), which entered the literature in 2002, provided a very important advantage by allowing continuous, seamless and traceless hair transplantation. Thus, natural and traceless hair transplantation has become a preferred solution for hair loss all over the world. FUE Hair Transplantation is the most widely used hair transplantation method in the world. Healthy and strong hair follicles are individually selected. In the case of planting with FUE method, the donor area heals much faster. No trace after the operation. Thanks to the FUE method, hair follicles in different parts of the body can also be used for planting. FUE hair transplantation allows hair follicles to be collected one by one. FUE hair transplantation method does not cause damage to the surrounding hair follicles. The FUE technique can be applied together with the DHI technique known as pencil technique, which we hear about quite often in the recent years. FUE Hair Transplantation (Follicular Unit Extraction) is a hair transplantation method based on the principle of collecting the hair follicles without forming a linear incision. In the graft collection process using small nib tips, small incisions are formed around the follicular unit and the hair roots are collected one by one and then planted in the area of balding. First, hair follicles are collected from the nape area. In this process, the hair roots are loosened individually with a special medical device. The individual loosened hair follicles are then collected into grafts. Each graft may contain between 3 and 8 hair strands. The density of the grafts is a factor that increases the quality of hair transplantation and its success. This process varies from 2 to 4 hours, depending on the number of grafts. Local anesthesia is performed for a comfortable operation. After the grafting process is finished, the area where the hair follicles are collected is bandaged against the possibility of microbes. After this procedure, the patient is placed on his back. In order to open the channels with FUE hair transplantation, the area to be transplanted is anesthetized by local anesthesia. Then the grooving process is started. The opening of the channel is done by means of a sharp tool called micropip. These channels are smaller than the tip of the needle and the hair roots are placed in these channels. It is very important that the directions, depth and width of the channels are in harmony with the hair roots. The last stage of Fue Hair Transplantation is the transplantation of hair follicles into opened canals. The hair follicles are placed in special boxes . More frequent hair transplantation can be performed in DHI Hair Transplant operations. This facilitates a more natural look. The hair loss is reduced to a minimum and the hair loss during and after hair transplantation is reduced. Angle and direction can be facilitated with hair transplantation and angles of hair follicles can be determined more easily. DHI hair transplantation provides a positive advantage for people who have not completed the spillage. In the planting, the holes in the hair root are opened so that the operation is completed with the least damage. Can the grafts be kept in the DHI Hair Transplantation Method? It is the second factor affecting the success of the operation, and significant advantages have been achieved in operations with DHI Hair Transplantation. After hair follicles are collected in hair transplantation, they are kept for 3-4 hours during the canal opening. Although sometimes they are kept in special solutions and special coolers, every minute they expect outside their natural conditions causes the hair follicles to be damaged or lose their health. The biggest advantage of operations with DHI Hair Transplantation is that hair follicles are not kept waiting after collection. The waiting period of 3-4 hours is eliminated and the hair roots are planted immediately after collection. This prevents the loss of hair root caused by waiting. Another point that has improved in DHI Hair Transplantation Method is the sowing angle of the hair follicles. The angles of hair follicles, which primarily affect the concept of naturalness in hair transplantation, were determined during the channel opening time in normal hair transplantation. With DHI, the process of grooving in hair transplantation is combined with sowing. This accelerates the time to reach the natural looking hair. Planning in DHI Method How? The forehead line planning period is the most sensitive area that determines the result of a good hair transplantation because it is very much in mind. This technique facilitates the application of the planned sowing pattern at the front forehead line, which requires more angular angles to be angled, but more often than not. The channel angles that can be lowered to 20 degrees as you reach the forehead area can be given more comfortably with the kanal hair transplantation. How is DHI Hair Transplantation Applied? Let’s take a look at the stages of hair transplantation in order to fully understand how the DHI hair transplantation technique is applied. Hair transplantation consists of 3 basic stages. These are respectively; collection of grafts, opening of canals and hair follicles. Thanks to the medical pen used for direct hair transplantation, after grafts are collected, it opens both the canal and the hair follicle at the same time with the help of these pens. This procedure, which can be done in two separate steps in normal methods, can be done in one time with this special pen-like medical device. In DHI Hair Transplantation Method, normal hair transplantation stages are observed except for canalization. Why is Donor Region Important in DHI Method? For hair transplantation, it is preferred that hair follicles of the donor area are firm and frequent in hair transplantation which is considered as the area between the two ears. Since hair transplantation can only be done from one’s own hair follicles, a rare nape and wide balding area cannot give the expected result. In such cases, secondary donor areas need to be directed, which is a situation that negatively affects the natural image. The most commonly used donor area in hair transplantation is the nape region. Besides, it can be used as donor area in hair transplantation in different areas. Secondary donor sites can be used in people with insufficient hair follicles in the nape area with the advice and advice of the physician.